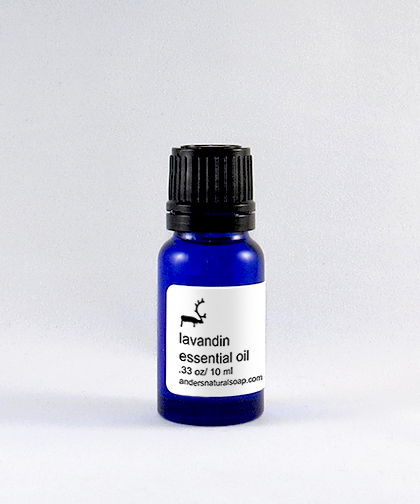 LAVANDIN: Lavandin is slightly more resinous than Lavender and imparts a slightly stronger scent. Steam distilled from the leaves and flowers of the Lavender plant, this beautiful floral oil is generally regarded as the most useful and versatile essences for therapeutic purposes. One of our favorite ingredients, it is soothing and calming, but also stimulating and refreshing. We source our Lavandin from the high altitude regions of France. This is considered to be the best Lavandin in the world, and many of our customers agree. Our most popular products utilize this essential oil. Lavandin is slightly more resinous than Lavender and imparts a slightly stronger scent. Steam distilled from the leaves and flowers of the Lavender plant, this beautiful floral oil is generally regarded as the most useful and versatile essences for therapeutic purposes. One of our favorite ingredients, it is soothing and calming, but also stimulating and refreshing. We source our Lavandin from the high altitude regions of France. This is considered to be the best Lavandin in the world, and many of our customers agree. Our most popular products utilize this essential oil.